For all our photos, visit our 2016 Silver Trophy Photo Album. This year’s Silver Trophy competitors: Seated, from left: Brandan Ranjith, Danielle Dettlinger, Aaron Yuan, Rosemary Woods, Harry Zhang, Jillian Foley, David Savic. 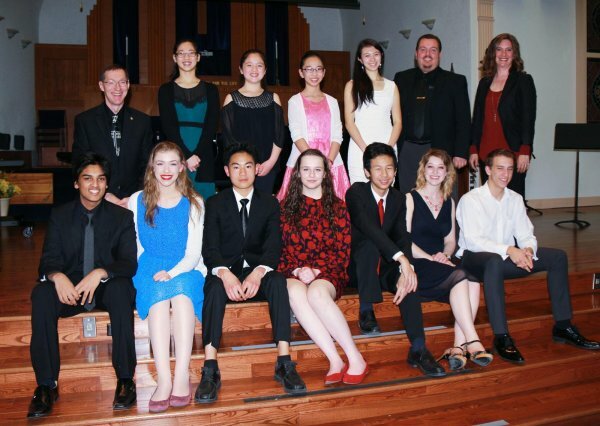 Second row, from left: Band and instrumental adjudicator John Palmer, Jeanette Huang, Jenna Martinello, Denise Wu, Amy Park, piano adjudicator Terry Head, and vocal adjudicator Amanda Brunk. Thirteen-year-old musician Jeanette Huang earned top honours at the 48th annual Quinte Rotary Music Festival in Belleville last Friday, winning three of the five prizes of the Silver Trophy evening, held at St. Matthew's United Church April 15, 2016. 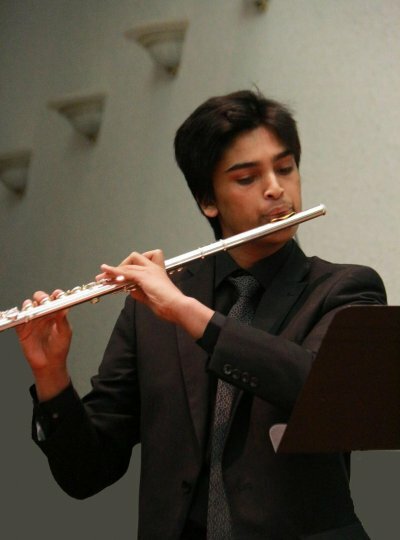 Brandan Ranjith, winner of this year's Silver Pitcher for woodwinds, brass and instrumental. Rosemary Woods, winner of this year's Rose Bowl award for voice. All Photos graciously provided by Lola Reid Allin.